As announced earlier this week, we're having a couple of short community gaming sessions to warm us up for the Holiday season. 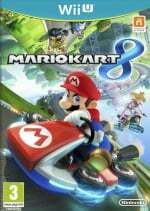 It kicks off today (22nd December) with Mario Kart 8. 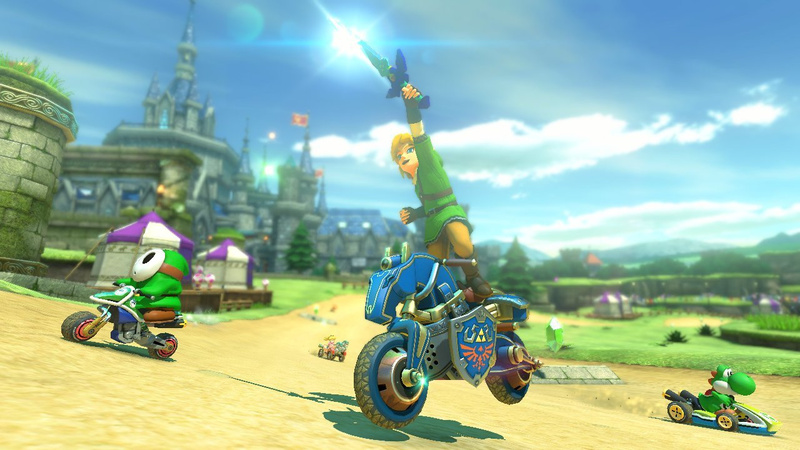 You voted for the rules in our polls, though we're keeping it light-hearted and fun; as a result the Tournament we've set up is 150cc, with All Items and All Tracks (including DLC). As it's not a competition, as such, there's no password or limit on races, and there'll be CPU racers added to lobbies that aren't quite full. So, to join all you need to do is search for the following details. As previously announced, we've setup a window that will hopefully get a decent number of players involved at once - the Tournament will be live from noon Pacific / 3pm Eastern / 8pm UK / 9pm CET until 5pm Pacific / 8pm Eastern / 1am UK (23/12) / 2am CET (23/12). Don't forget that we're running a Smash Bros. Tourney on 23rd December, so check back for details on that at the same time tomorrow. We'll see you on the track. Not sure I know how to race festively... Will a bit of tinsel round the TV do? Super excited! I'll be there! If you see the name Blue Blur as a Luigi on the Flame Rider, that's me! I'm in just got my new Wii U after my old one was stolen so I don't all the cars but, I'm still pretty good. Hmmm maybe it's time to dust off my Wii U and race a few races. Nice one hoping to join in too, I'm MoonWalker, I think anyway... lol. I'll be wearing my Santa Hat too, not that you'll be able to see but... you can take my word for it! Good luck everyone! Not played in forever, but apologies when you see 'dummy' flying by you on the track! I kinda mixed up the tournament times, but I'm glad it hasn't started already. In fact I have a lot of time to complete my Mario Maker stage! Better get right to it. By the way, I'm Flames. I'll probably be using Link and/or Rosalina, so watch out! PLEASE, PLEASE do more of these! A monthly MarioKart room (first Saturday of the month?) would be an awesome thing! Cool, MK7 community races was what got me to stop lurking the site and actually join in on the fun. See you guys on the track! I might get frustrated and quit when I keep losing, but I should be able to have fun for a while. Nice to see some familiar faces.. er, nicknames here. I'll be driving as Metal Mario, as I always do. Now this is bad time. from 10pm to 3am. 24h tournament would have been cool but maybe I just play XCX and Splatoon. Going as Bowser for a bit at least. I'm gonna Mario Kart all your faces off! Yeah, that's right, I just verbified Mario Kart. I also created a new word. Now I remember why I don't like events like this cause everyone is a hack. I'm out, really fun hour though, thanks everyone I really enjoyed it. Somebody do something about Blue Blur though... so good!! @MJKOP Can confirm. Blue Blur is insane. Let it be known that I (LuigiMan with Pink Gold Peach & Daisy) was leaving you all for dust at some point. I'm gonna try to break 400 pts before anyone else! Joined the website just for this tournament and I see you blue blur! I'm DK on the yellow rails with white rubber. Well that's it; I'm done. Good races everyone! Go get 'em, @Blue_Blur! I was 3 points ahead of you in the Rankings when I stopped. Take the lead and run with it! Is anyone playing right now? Time for me to quit before I get too frustrated at people being far too good and bad luck with the power ups. Still, this was great fun and I'd be happy to take part in further tournaments. Currently I'm the one called Crimson at 14th place at 151 points. Damn, my MK8 is requiring an update - must have deleted some stuff by accident, or else there's been a sizeable update recently. Will join in about an hour I reckon. I'm coming now...ish...I haven't played in forever. I have to get the DLC update still...Whatever. I'm not too good at this one, and I probably can't catch up this late in the day but I'll play. I lied, I don;t have the DLC...can't play. Let's check the ol' finances and the ol' "Is it worth it" gland of my noggin'. I'll do it! I kind of meant to buy this before I forgot I had the game.Oh poop. Time.Maybe I won't be there. Depends on my net. I'm so done. Phew, that was fun! At first I was salty because I was so unlucky (no, really. A mushroom in 12th place. MULTIPLE TIMES. REALLY?! ), but then at least it became favorable for me when I changed my character and wheels. Funny enough, I noticed my bad luck started when @DreamyViridi left a banana for me in Sunshine Airport. Gah. Good games, though. Hope to see y'all in Smash tomorrow. Download Complete. Installing...I'll be there soon. Yay! 16th place overall! Started at 6ish and with lightweight Luigi. PS, I was "Starr". I only got 106 points so I'm not placed anywhere. Also I was bad. Only 209 points here...I think. MKUKC, Dummy, and Blue Blur were rippin it up. MKUKC won it overall, but I can say that I placed ahead of em in the final Yoshi Island race with my last ditch effort with three red shells around the final chicane. I agree with DickeyWord, I never had a NL account until this evening; furthermore, this sort of group sessions are a great idea. I too haven't played in a bit, even so, I picked a lightweight character because I was thinking 150cc were the 200cc karts. Although, after the first round I realized I had forgotten 150 wasn't the faster karts, given I was thinking back to SNES days as the retro gamer I am. Encore Nintendo Life karting events! Encore! Great races everyone! They were a lot of fun! Like other users have said: The more of these online events, the better! Will there be a Smash 4 version of this? Yes, it will take place tomorrow. GG's everyone! I was the one using Link with the blue falcon, (got 5th place) I've been a long time reader of Nintendolife but finally made an account! Damn!!! I missed it and was off work. Good fun. Got about 200 points when i left. I was dry Bowser. Hope we have these more often. Merry christmas all Nintendo gamers.